Registration and abstract submission for IBS 2019 – Humboldt 250 are now OPEN! You can register at the meeting website, or use the links below from here! 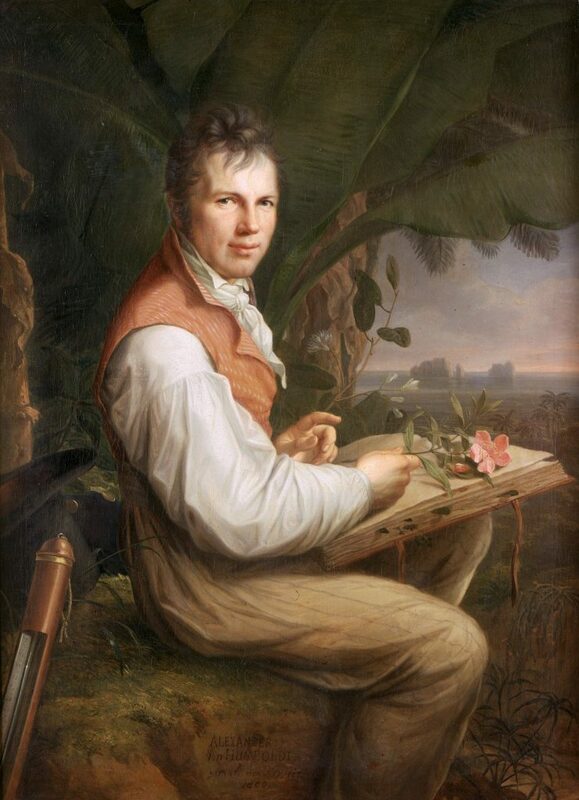 Two centuries ago Alexander von Humboldt explored the linkages between geology, ecology, and diversity, and laid one of the cornerstones of biogeography. The 2019 IBS Special Meeting celebrates the250th anniversary of Humboldt’s birth and his legacy! This academic celebration will take place in Ecuador, one of the most symbolic and relevant places in Humboldt´s studies, as exemplified by his Naturgemälde. The event is organized by the International Biogeography Society, Universidad San Francisco de Quito USFQ, and Universidad Regional Amazónica IKIAM, and will be housed at USFQ. See https://humboldt250-ecuador.org/ for updated details as the conference gets closer! Journal of Biogeography: As part of the celebration, the Journal of Biogeography is accepting manuscripts for the Humboldt Special Issue.